Hand cut wooden basket beehive. Acrylic paint. Individually applied bees. Designed to be wall mounted. 10" high by 11" wide. Handcrafted wood with real horse hair mane and tail. Acrylic paint. 13" tall. Private Collection. 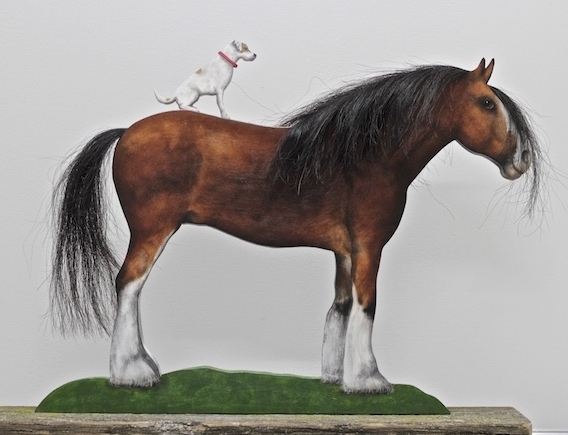 Handcrafted wood with real horse hair mane and tail. Acrylic paint. 15" tall. Hand cut wooden sheep, painted with acrylics. Real sheepskin coat. 15" tall. Hand cut wood. Real horse hair mane and tail. Handcrafted Suffolk sheep with real sheepskin coat and acrylic paint. 13" tall. Private Collection. 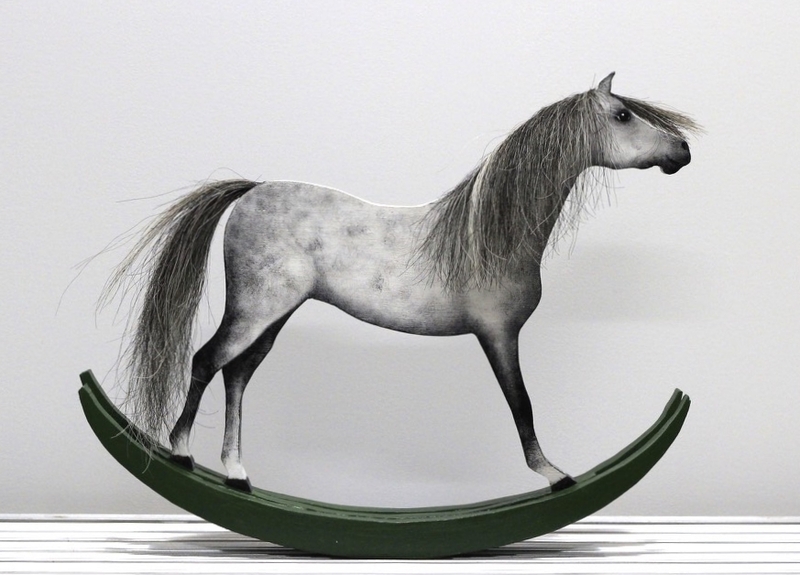 Hand cut wooden horse, painted acrylics, real horsehair mane and tail. Jack Russell passenger. 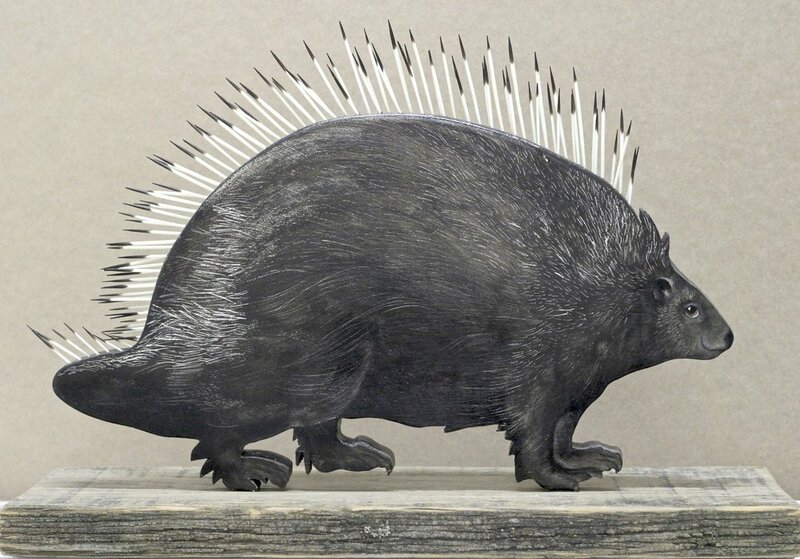 Handcrafted porcupine. Acrylic on wood. Porcupine quills. 15" x 11". Original commission. Hand cut wood, painted with acrylics. The original horse's mane was used to finish. 13" tall. Private Collection. Hand cut, acrylic painted horse. Real mane and tail. 12" tall. Private collection. 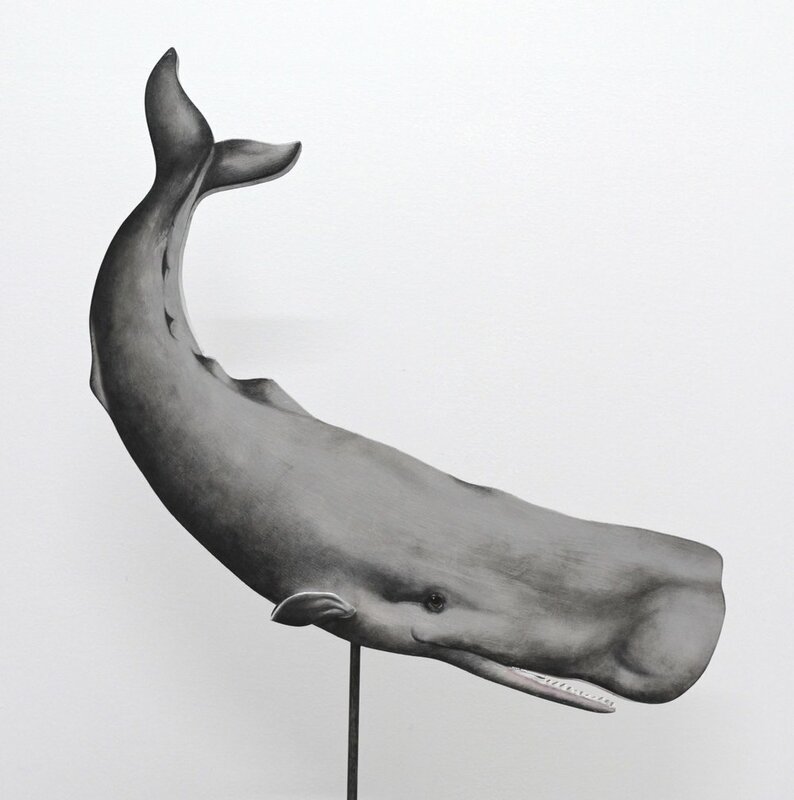 Handcrafted wood with acrylic paint. 12" tall. Hand cut wooden Wessex pig with bee. Acrylic paint. 16" wide by 10" high. Hand cut wooden shetland pony. Painted with acrylics. Real mane and tail. 12" tall. Private Collection. Handcrafted wooden female Atlantic salmon. Real salmon fly attached by wire. 16.5" wide by 10" high. Unicorn with natural shell horn. 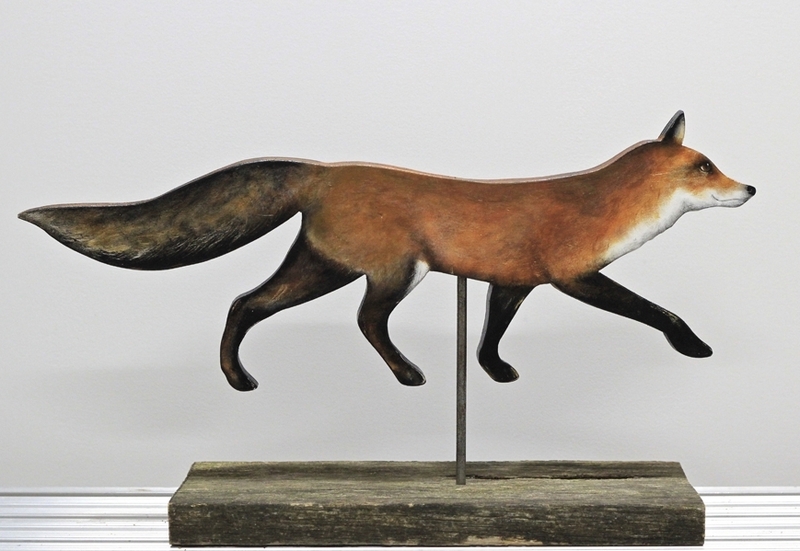 Inspired by early weathervanes. 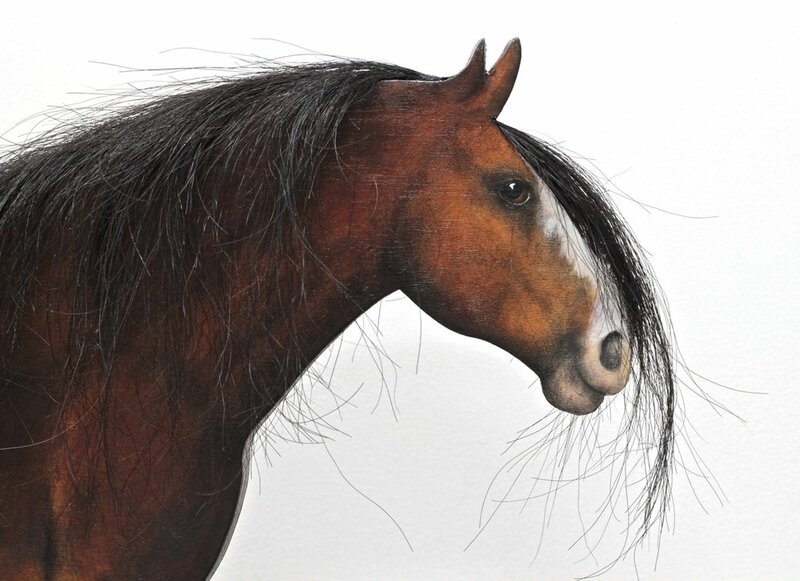 Hand cut wood, painted with acrylics, real mane and tail. 14" tall. Private Collection. Handcrafted wood. Acrylic wood. Leather collar. Private Commission. Hand cut wood, painted with acrylic. Horsehair mane. Wall mounted is 11.5" tall. Great as a stall name plate! 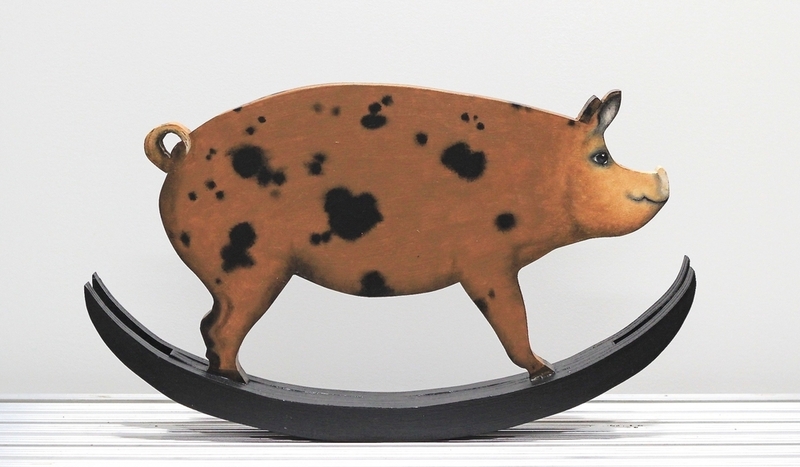 Hand cut, wooden pig, painted with acrylics.